NEW YORK—Warning that the sultry, long-lasting product had been instrumental in the company’s biggest security breach to date, L’Oreal has halted testing of their Irresistible 2-Step Lip Color Stick Friday after a lab rat wearing the compelling cosmetic seduced its way out of their facility. “At approximately 8 p.m. last night, a rodent wearing a testing formulation of L’Oreal’s 19-1664 ‘rosewine’ lip shade successfully beckoned to an unsuspecting guard and distracted him with its perfect, pouty mouth, bewitching him long enough to reach his keyring, unlock its cage, and escape,” said L’Oreal CEO Jean Paul Agon, who emphasized that production of the color stick would be halted until an internal investigation could determine how the rat was able to not only stun over a dozen officers with its craveable come-hither look, but also leave the head of surveillance blindfolded and tied to a chair with his boxers around his ankles. “Until we find out exactly how test subject number 445 ended up with lips so luscious that every member of our security team was powerless to resist them, it would be egregiously irresponsible to release this product to the public. You must understand: No matter how fast it scampered, no matter how many guards it kissed, this rat had a perfect pucker that was impossible resist. We will not allow a lip color this sultry, this durable, this dangerous, to be sold. 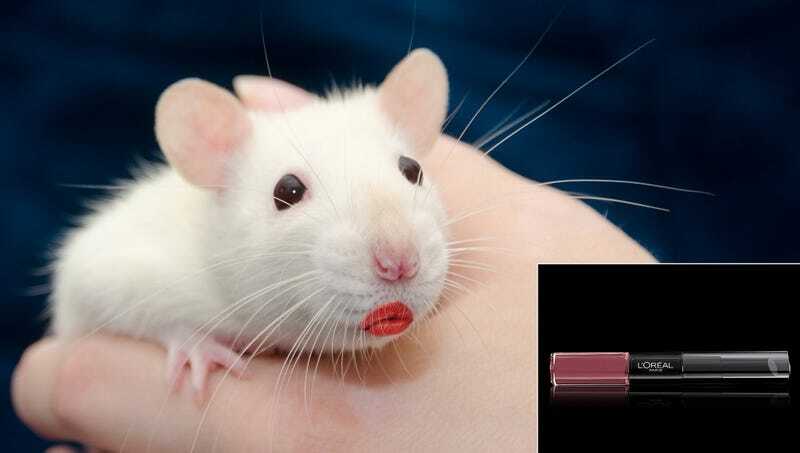 Because it’s not worth it.” At press time, Agon had warned residents who lived around the L’Oreal facility to take extra precautions while out at night, as the rat’s no-smear lip color stays flawless for up to 12 hours.